Dalia Davis has been dancing since childhood. She double majored in Dance and Jewish History at Barnard College, where she was artistic director and choreographer for Shalhevet, the Israeli Folk Dance performing group at Columbia University. While in college she also performed Parparim Ensemble, a professional Israeli dance company based in NYC. Her summers were filled with Jewish camping both as a special needs counselor at Camp HASC and as an educator for the Nesiya Institute in Israel. After graduation, Dalia set off to study at Nishmat’s Jerusalem’s Center for Women and Y.U’s Graduate Program for Advanced Talmudic Studies for Women. While spending intense days studying Talmud and Halacha (Jewish law) in NY, she co-founded Nishmat Hatzafon: Jewish Women’s Performing Arts Company and has been serving as its artisitc director and choreographer ever since. Through her work with Nishmat Hatzafon she created Jewish theme-based performances and choreographed a full repertoire for the company. Dalia’s journey then led her to Berkeley, CA where she served as Rosh Beit Midrash for the Merkavah Women’s Torah Institute, teaching Talmud and Bible in a pluralisitic yeshiva setting. While in CA, Dalia began pursuing a MA in Marriage and Family Therapy and is close to completing her degree. 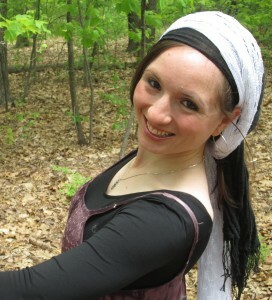 Dalia recently moved to Springfield, MA, where she teaches for the Florence Melton Adult Mini School, consults for the Harold Grinspoon Foundation, and is the Dance Educator for the Cornerstone program for the Foundation for Jewish Summer Camps . Dalia loves to incorporate movement into Jewish text study, and to use dance to bring ancient traditions and narratives to life. To contact Dalia directly please email: dalia@BeitMidrashInMotion.com.